Want to play netball over the Easter holidays? Loughborough Lightning are hosting three fun days at Soar Valley College, Leicester on 10th, 11th and 12th April. England Netball is currently looking to expand, update and improve the quality of the information that we have access to on clubs and facilities. This is an essential part of our support for player and club centred development of the sport. Any club completing and returning the audit by Friday 30th March will receive 2 free mitre match balls. 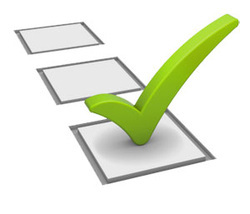 The Audit can be completed on Word or Excel. Tickets are now on sale for the England v Barbados Test Series in April. Tickets to the Surrey game have already sold out. To get tickets to the Test in Birmingham on April 10th, visit the LG Arena ticketing website. (To take advantage of member discounts, call the box office). For information on other Test games, see the England Netball website. 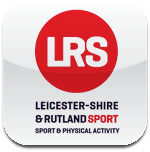 The Football Association in partnership with Leicester-shire & Rutland Sport and the Inclusive School Sports Association are offering a ‘Free’ CPD workshop to all those involved in the identification of talented footballers and athletes in a range of disability groups. If you are a School Games Organiser; P.E. Teacher; involved in sport in a school or college; coach in the community or in schools; are a volunteer or in a paid role; member of a league or club; mainstream or disability; come along to our workshop and share our passion in identifying and supporting opportunities for disabled youngsters to realise their potential. 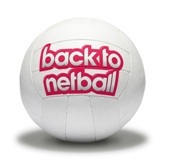 In September, England Netball launched free affiliation for Primary Schools. The first 10 primary schools to sign up received a high 5 netball and a set of bibs. We’re pleased to announced that two schools from the East Midlands were in the first 10 to sign up: St Gilbert’s C of E Primary and Ingoldsby Primary, both from Lincolnshire. Well done to you both! If you would like to affiliate your primary school for free you can do so by visiting the My Game section of the England Netball website.